There are a range of international scholarships and bursaries available to students from Turkey, who want to study abroad. Most universities offer scholarships which cover either part or all the tuition fee. Governments also offer a variety of grants to study locally or abroad at top universities that are accredited by reputable accreditation bodies. Several interest groups, charities and trusts also offer a range of scholarships, that cover tuition fees and sometimes living expenses. Financial aid is often only available to students studying at a particular graduate school or business school or from a particular country. There are also selected international scholarships for women, as well for engineers. 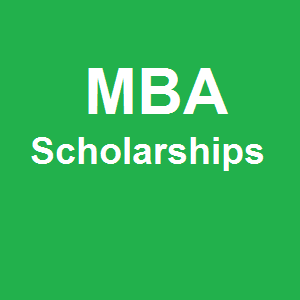 Several scholarships are merit based or only available to a particular target group. Most universities publish their scholarships online. International scholarships to students from Turkey are offered by many universities, including many top and ivy league universities. The USA is still a very popular study location. Studying in the USA is very competitive and expensive. The best known annual scholarship program for international students is the Fulbright Foreign Student Program. Other scholarship programs, that include studying in the USA, but are also open to studying in other countries are Joint Japan World Bank Graduate Scholarships, AAUW International Fellowships. Aga Khan Foundation International Scholarship Programme. Annual international scholarships that are country specific are the British Chevening Scholarships for International Students interested in studying in Britain and DAAD Scholarships for studying in Germany. Germany is a very popular study destination for students from Turkey. Many universities and business schools offer a range of other scholarships and grants to assist with studying in Germany for students from Turkey. MBA Degrees and Business Masters are among the most popular degree programs for international students.